Slow cookers became popular when women began returning to the workforce. 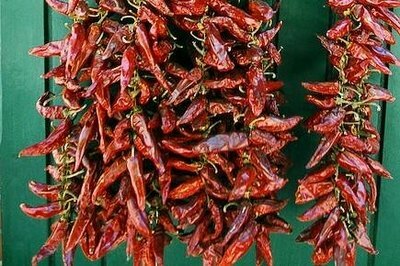 They are used as a way to cook a whole meal over a long period of time that can be ready when you return home in the evening. 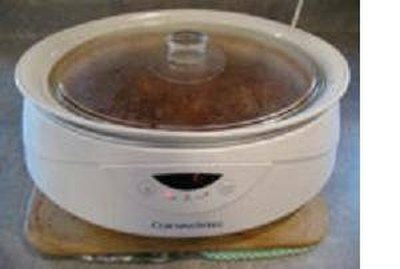 From a small appliance born of necessity, slow cookers have developed from the original two-and-a-half-quart crockery pot with two settings to programmable freestanding ovens. Whatever type of slow cooker you own, chicken is one of the easiest and most versatile dishes to cook in these convenient, energy-saving appliances. Use less liquid than in a conventional oven when cooking chicken (or any poultry or meat) in a slow cooker. The natural juices stay in the food instead of evaporating unless you keep lifting the lid to "peek." Once you get used to using your slow cooker, you can substitute favorite ingredients in variations of basic recipes. 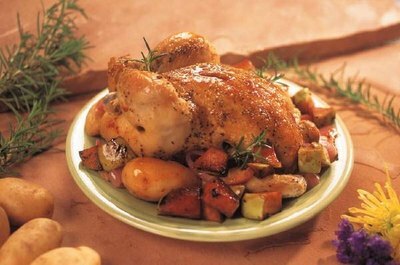 For basic roast chicken, surround a whole chicken on a bed of red potatoes and carrots in an oval cooker, add about two cups of chicken broth and cook on low for six to eight hours or until done. Cut chicken into pieces and brown before putting in the slow cooker. Add chicken broth, scallions and carrots, and cook for at at least six hours on low. Add dumplings made from buttermilk baking mix or potato dumplings (available in tubes in many ethnic groceries) for the last hour of cooking for an old fashioned chicken-and-dumpling dinner. Cut chicken off the bone in strips and add diced tomatoes, a bag of frozen vegetables and two cans of cream of mushroom or cream of celery soup mixed with a cup of milk to the chicken in the slow cooker. Cook on low for five to six hours or until the chicken is cooked. Season to taste. Use mixed or single variety vegetables. Add potatoes or rice for a hearty winter dish. Use low-fat soups and milk to reduce calories and fat in this complete chicken and gravy dish. Cut carrot, onion and green pepper into pieces and sprinkle with a bit of quick-cooking tapioca or corn starch in the bottom of a slow-cooker pot for an easy sweet and sour chicken meal. Slice chicken breast meat and lay on top of vegetables. 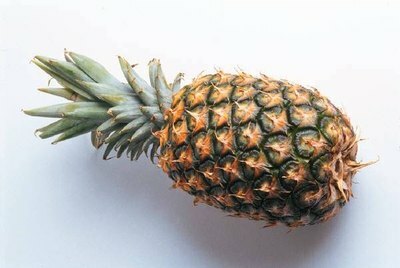 Combine half a can of pineapple chunks (including juice) with half a cup of brown sugar, a third cup of rice wine or red wine vinegar, a splash of soy sauce and a heaping tablespoon of five-spice powder. Bring to a boil and add chicken broth or bullion to taste. Add the sauce to the chicken and veggies and sprinkle with cilantro and garlic powder. Cook on low for at least five hours and serve over rice. Make a simple chicken paprika by layering boned chicken pieces with potatoes and onion. Sprinkle the chicken with paprika before putting it in the bottom of an oiled pot and then add a layer each of potatoes and onions. Sprinkle oil on the onions and repeat layers of sprinkled chicken, potatoes and onions. Add about a cup of water and cook for six to eight hours. Serve with sour cream or plain yogurt. Start your cooker on high, add ingredients, then turn the cooker down to cooking temperature to start the process. Be sure to bring ingredients to room temperature before adding them to the slow cooker. 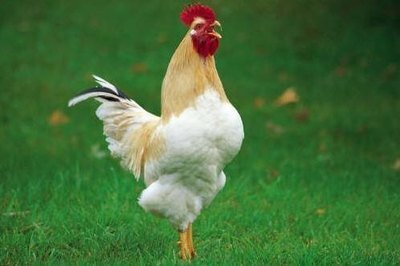 Invest in a reliable meat thermometer to check your chicken for doneness. Until you're familiar with your slow cooker, it's easy to undercook or overcook chicken. The former results in stringy, raw poultry and the latter is dry and tasteless.